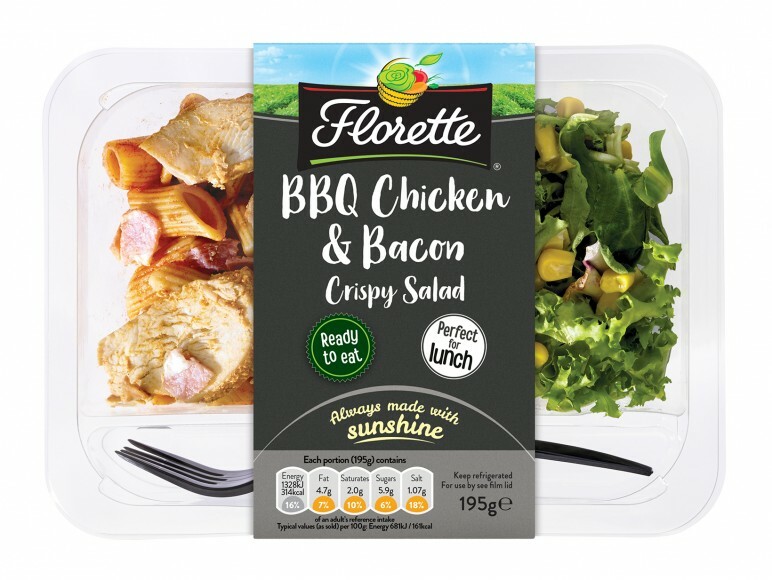 Salad brand Florette is set to launch a new range of food-to-go ‘lunch bowls’ based on its bestselling leaf mixes. An alternative to sandwiches, the lunch bowls will will be available in WHSmith, Nisa and Tesco from January. They will come in three flavour combinations: the BBQ Chicken and Bacon Crispy Salad, the Chicken and Sweetcorn Crunchy Salad and the Feta and Tomato Crispy Salad. The brand said it was responding to consumer demand for healthy, convenient and filling lunch options that mix protein, carbohydrates and leaves. The BBQ Chicken and Bacon Crispy Salad will include diced tomato and sweetcorn and Florette’s Crispy Leaf mix of lambs lettuce, frisée and radicchio; the Chicken and Sweetcorn Crunchy Salad will feature diced tomatoes, grated carrot, sweetcorn, and Florette’s Crunchy Mix leaf selection of escarole, frisée and radicchio; and the Feta and Tomato Crispy Saladwill contain fresh tomatoes, a red pepper and tomato dressing, and Florette’s Crispy Leaf mix. Brand Manager Rebecca Walker said: “Our new range of lunch bowls provide an exciting alternative for consumers who have busy lifestyles and want something different to the usual lunchtime choices.